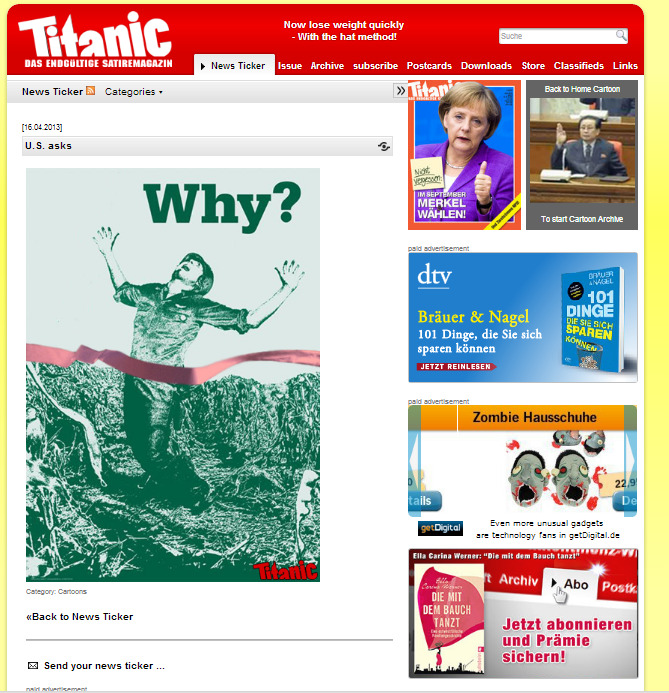 This is an outrage – please go to The Blaze and read the whole of it. Indeed, what are we fighting for anymore when our rights mean nothing? On March 16, 2013, my son and I were hiking along country roads among pastures and fields with my 15-year old son to help him earn his hiking merit badge. I always enjoy these father/son hikes because it gives me time alone with my son. As I always do when we go on these hikes and walks, I took my trusty rifle with me as there are coyotes, wild hogs, and cougars in our area. In Texas, it is legal to openly carry a rifle or shotgun as long as you do so in a manner that isn’t calculated to cause alarm. In other words, you can’t walk around waving your rifle at people. I always carry my rifle slung across my chest dangling, not holding it in my hands. At that point, the officer grabbed my rifle without warning or indication. He didn’t ask for my rifle and he didn’t suggest he would take it from me. He simply grabbed it. This startled me and I instantly pulled back – the rifle was attached to me – and I asked what he thought he was doing because he’s not taking my rifle. He then pulled his service pistol on me and told me to take my hands off the weapon and move to his car, which I complied with. He then slammed me into the hood of his car and I remembered I had a camera on me (one of the requirements of the hiking merit badge is to document your hikes). This video is the rest of that encounter. Up to this point, I am not told why I am being stopped, why he tried to disarm me, or even that I’m under arrest. We did not set out that Saturday morning to “make a point” or cause problems. Our goal was to complete a 10-mile hike and return home without incident. My son chose a route that away from populated areas but near our home. 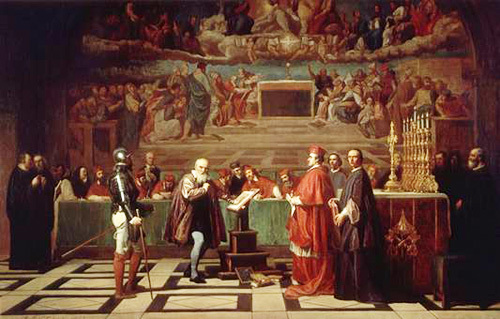 Galileo before the Holy Office, a 19th century painting by Joseph-Nicolas Robert-Fleury. In the week just past, a decision was made by the high priests of the Bavarian Office for the Protection of the Constitution (BOPC), that poses a profound threat to freedom of expression. They declared that the Bavarian branches of Politically Incorrect and the Die Freiheit political party are potentially a threat to the Constitution. They are effectively accused of stirring up hatred of Muslims, a charge that seems to have more to do with the influence of oil money that is sloshing about from rich Islamic states than it is about any real hatred of Muslims. This means that the state regards such groups as a potential danger to security. It means that they will be closely monitored by the authorities. It also means that members of such groups will be stigmatized and demonized. The state has intervened on behalf of one side in a perfectly acceptable political debate. As such it has interfered with the normal workings of a democratic society and it sets a dangerous precedent for the future. This decision harkens back to an earlier, less tolerant age! Colored by its recent action, the “Bavarian Office for the Protection of the Constitution” begins to sound like the 16th century “Supreme Sacred Congregation of the Roman and Universal Inquisition” or Saudi Arabia’s “Committee for the Promotion of Virtue and the Prevention of Vice.” Like these rather disreputable institutions, the BOPC is now attempting to dictate what people say with regard to the philosophical issues of religion and belief. In a free and democratic society, any religion that attempts to shape politics must be subject to scrutiny. Tolerant followers of any proselytizing religion, must surely agree that people will provide counter arguments. Otherwise the marketplace of ideas could not function and social progress would be stifled. Europe’s Inquisition did not grasp this and the Bavarian authorities seem to struggle with the concept. A key consideration relates to whether Islam is political. The Organization of Islamic Cooperation (OIC) is the acknowledged voice of the Islamic world. Its persistent demands for sharia compliant blasphemy laws in Western countries demonstrates a determination to shape policy. Even if Islam is not political in its essence, the activities of the OIC put it clearly in the political realm. Islam has therefore become of justifiable interest to Western citizens. In democracies, matters of public interest must be up for debate if the essence of such societies is to survive. The action of the Bavarian authorities towards the organizations cited strikes at the very foundation of democracy itself. People have a right not to be Muslim. They also have a right not to follow Islamic dogma and not to be subject to sharia. The Bavarian authorities have accepted the sharia principle that Islam and its Prophet are beyond criticism. They have conveniently ignored the irrefutable fact Sharia has a second class place for non-Muslims built into it. From an Islamic perspective, non-Muslims in a land dominated by Islam are obliged to fit into that system. Citizens of Bavaria and elsewhere have a right not to live under such a system. They have a right to protect their children from the prospect of living under such a system. Decent law abiding people have been demonized by the Bavarian authorities just because they favor government of the people, by the people and for the people. In many ways, this draconian announcement is not about Islam at all. It is about a political transition from a democratic system to one based on oligarchy. Those with power are cynically using Islam to achieve their totalitarian goals. The claim that it is ‘to protect the Constitution’ has as much credence as the claim of the OIC that it is an advocate of religious freedom. It is crystal clear from the authority’s actions that those who run Bavaria, favor the creation of a highly controlled society. 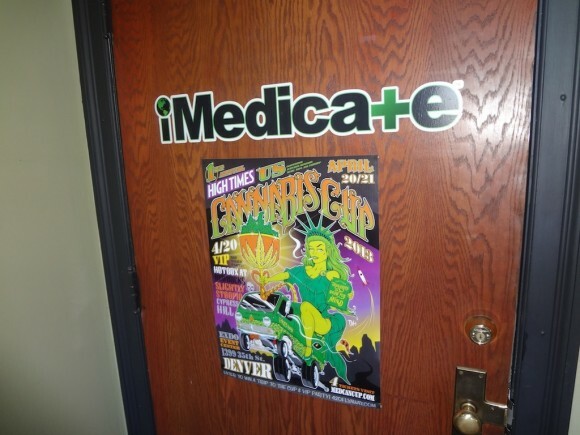 During my recent trip to Denver to cover the National Conference for Media Reform, I visited a “Native Roots Apothecary,” an official dispensary of “medical marijuana” in Denver, and discovered that a Colorado resident can get two ounces of marijuana a day (at an average of $150 an ounce), and “self-medicate” for almost any reason. Even a heavy marijuana user goes through only a quarter of an ounce a day. So fears are growing that “medical marijuana” is quickly becoming integrated into the illegal drug business. It was not supposed to happen this way, but state “regulation” of the industry has been a tragic joke. Cliff Kincaid is the Director of the AIM Center for Investigative Journalism and can be contacted at [email protected]aim.org. The US left’s number one goal has long been the destruction of the U.S. military. Which is why the Communist Party USA and their allies have always controlled the major U.S. “peace” movements. 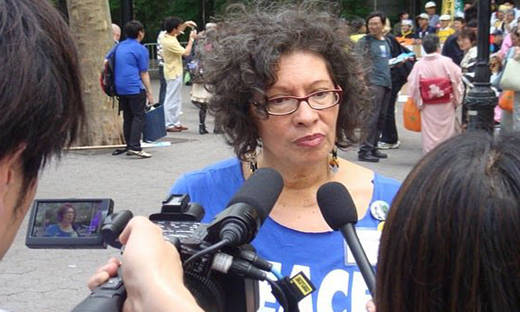 One of the Communist Party’s key peace activists is Judith LeBlanc. Judith LeBlanc has been working non-stop over the last 10 years to end U.S.wars in Iraq and Afghanistan. LeBlanc is also one of the Vice-Chairs of the Communist Party USA and chairs it’s Peace and Solidarity Commission – the body charged with controlling the “peace” movement. Before her current role with Peace Action, she was the national Co-Chair of United for Peace and Justice, with fellow Marxist and pro-Cuba activist, Leslie Cagan. LeBlanc has a habit of hobnobbing with tyrants and extremists, as this 2002 photo of LeBlanc with Palestinian terrorist leader Yasser Arafat shows. LeBlanc and the communists want to use their “friend” Barack Obama’s economic crisis as an excuse to gut the U.S. military. This is their time and they don’t mean to lose this opportunity to destroy America’s defenses, to the advantage of their foreign allies, once and for all. And of course North Korean sabre-rattling is all America’s fault. Notwithstanding that Pyongyang wouldn’t belch, if Beijing didn’t tell it to. “Rogue Nation?” Garbage. All this posturing is just to make China look good when it settles North Korea down again – probably in exchange for massive Western aid. Mmm… That “change” word. Where have I heard that before?